"Spider-Man 3" is Hollywood's biggest hit ever in India, a news report said Monday, although it still has earned far less than Bollywood's most popular films. "Spider-Man 3" has already collected 570 million rupees (US$14 million, euro10.5 million) since it was released earlier this month at a record 588 theaters across India, the Economic Times reported. The previous biggest Hollywood hit here was "Titanic," which collected 555 million rupees. 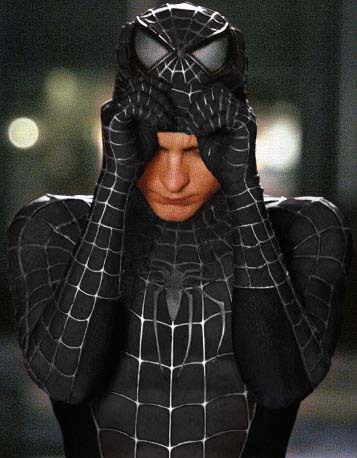 A major reason for Spidey's popularity here was Sony Pictures' decision to dub the movie in four major Indian languages - Hindi, Tamil, Telugu and Bhojpuri, the report said. The timing of the film's release, which coincided with summer holidays at schools and colleges, also helped. India is home to one of the world's most prolific film industries, but only in recent years have Western movies been screened in India. Foreign films were generally limited to big cities because few were dubbed in local languages and the government restricted their distribution. That has changed with the country's rapid globalization over the past decade, making Western films more popular here. Indian box-office sales for the latest "Spider-Man" amounted to 5 percent of what the movie made in the first three weeks in the United States.